This is a non-timed fun run. If you register as a human, your ultimate goal is to cross the finish line with at least one "life" remaining on your "life belt." 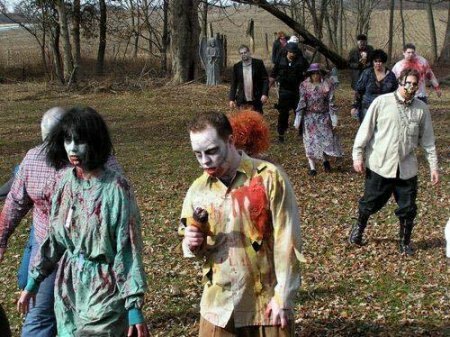 If you register as a zombie, you will be placed in one of 10 zombie zones where you can crawl, slither or stagger (no running!) after humans in an attempt to take away their "lives." Zombies should come zombified! Human runners are encouraged to come in costume as well. For more information or to register, visit www.tristateracer.com/RaceDirector/race.php?RaceID=3932 or text ZOMBIE to 72727.